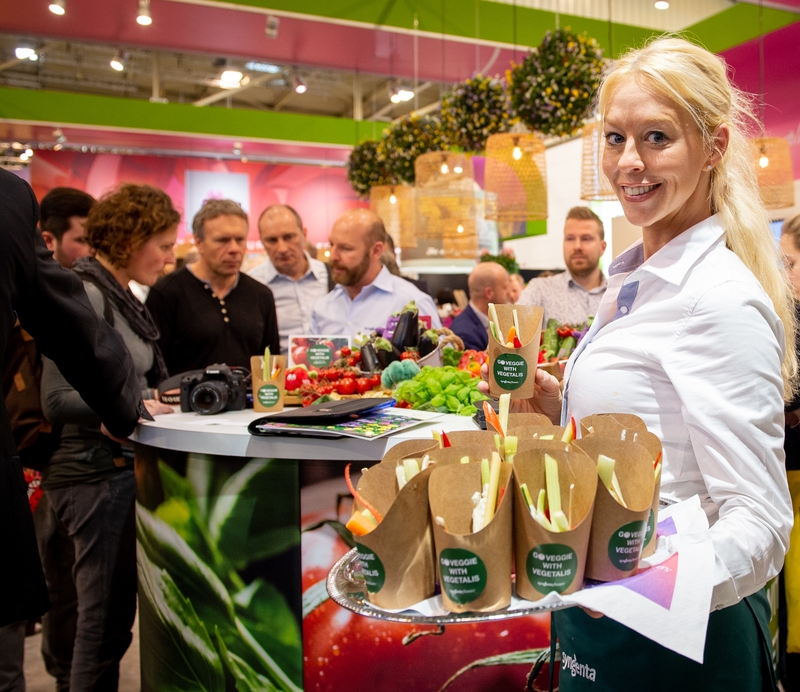 IPM Essen 2019 has been a hugely successful event again this year. It was a major gathering of growers and journalists keen to see the latest innovations in our industry. Visitors to our stand were not disappointed. From 22-25 January, the big talking point among both customers and the media was Imara®. This breakthrough in impatiens walleriana breeding made a big splash last year and took IPM by storm this year. The launch of Imara® in 2018 marked a welcome return of impatiens following the 2011 outbreak of downy mildew. Imara® is strong, resistant and never succumbs to the disease. It’s also utterly beautiful. The other major talking point was the launch of our new Vegetalis assortment of patio vegetable seeds. Visitors were keen to discuss how this range will meet the needs of consumers keen to grow their own vegetables at home. The conversation flowed beautifully as we served fresh smoothies at our stand. Other highlights on our stand included our novelties in Biennials and Annuals. Visitors also loved our vibrant and intensely-coloured Calliope® and uniquely free-branching and flowering sunflower Sunfinity. We also enjoyed showing our Do it Right! Pansy and Viola range to guests and explaining the strengths and features of our wide Poinsettia assortment. All of these products and services – designed to help make our growers more profitable and grow their business – were showcased by our dedicated Syngenta Flowers team. The whole event would not have been the same, however, without our Happy Hour. This always-popular event was a chance to sip cocktails and share a relaxing hour in conversation with friends. It helped to complete another successful IPM.